Why Your Title I Students Aren’t Succeeding and What You Can Do About It. 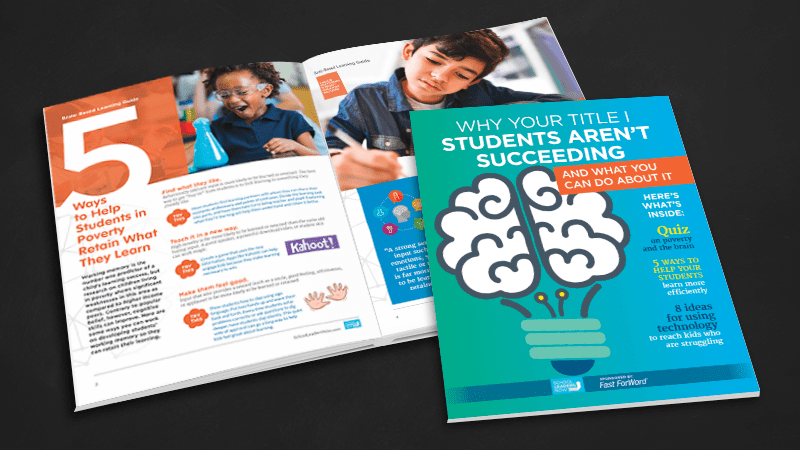 Download this free guide to learn why so many Title I learners struggle to become proficient readers and how creating intentional experiences can benefit students living in poverty. Get access now to free samples of brain-based reading exercises here! Research on brain-based learning is changing the way we look at our students from poverty. We now know which areas need the most attention (language, reading, memory: we’re looking at you!). And because there are scientifically proven ways to improve these areas, and thus cognitive capacity, your teachers can learn how to help their most fragile students. If you are looking for ways to help your students living in poverty catch up to peers, you’ll want this free guide of brain-based learning strategies for your school. Get your brain-based learning guide today to get all of this and more!